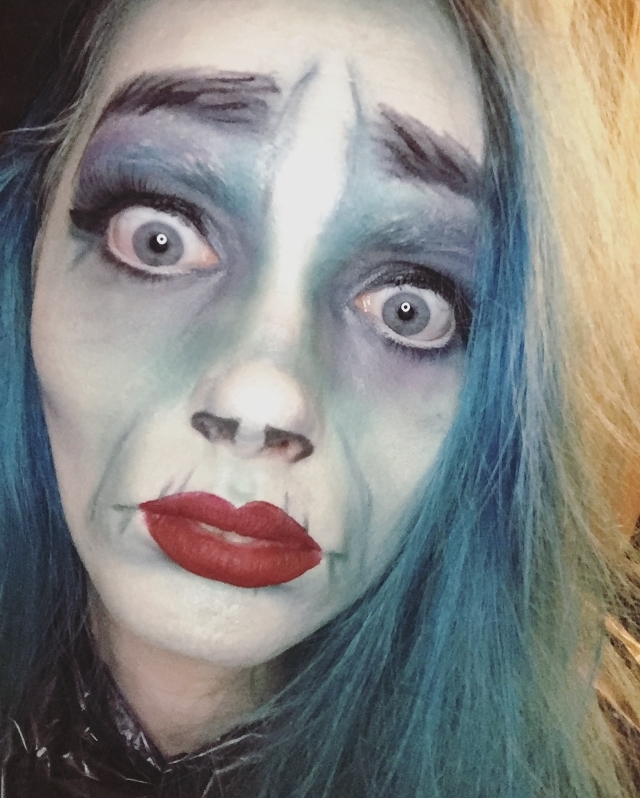 Bloo 'n' Stuff: The Return of the Bin Bag Witch! "But I love Halloween, and I love that feeling: the cold air, the spooky dangers lurking around the corner." Howdy everybody! I had hoped to have this post up yesterday but some unforeseen family issues came up and I wasn't able. Hopefully everyone isn't too Halloweened out to enjoy this post. As usual I had no plans for Halloween. It's a holiday I've always loved the idea of. I mean I was your average goth teen, so how could I not? But it's never been something my family got super into and I don't really have friends to go out or have house parties with. I figured when I had my own place that I'd go all out with decorations and make it fun for just myself but this year - my first year in my own place - we didn't decorate at all as my sister has been crazy busy. So I've just about accepted the fact I'm never going to experience Halloween the way that others do. 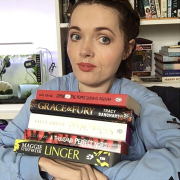 The last few years I've done my make up and took photos. You may remember this post from last year. However, this year I had no plans to do that until I came across a post on Twitter. 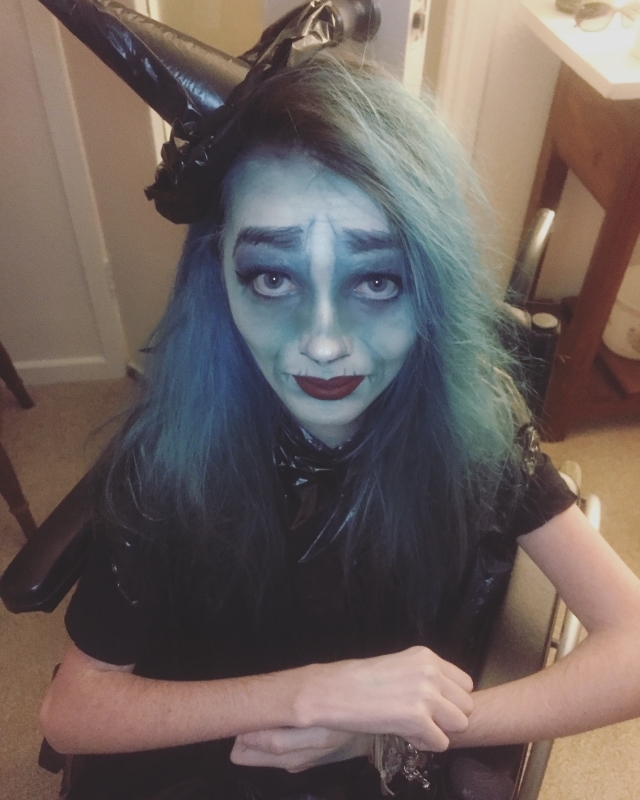 Alana from A Rose For Epona asked what everyone's go to Halloween costume was as a kid and mentioned she'd perfected the art of the Bin Bag Witch! Nostalgia hit me like a train. That was everybody's go to when I was a kid and I remarked that it was something I didn't see anymore. One thing led to another and Alana and I decided to bring the trend back! Even giving it it's own #binbagwitches hashtag. I can't thank Alana enough for this silly idea because yesterday was a truly terrible day and this little project gave me something to keep me busy and distracted. I headed to my parent's place and did it there, with my mum's help. This isn't a tutorial so I'm not going to go into how I did my make up because it was basically trial and error. I used a Kryolan stick for foundation and a bunch of Morphe and Sleek eye shadows for all the shading. My lips are Unicorn Blood by Jeffree Star and my eyebrows were eye shadow and eyeliner. 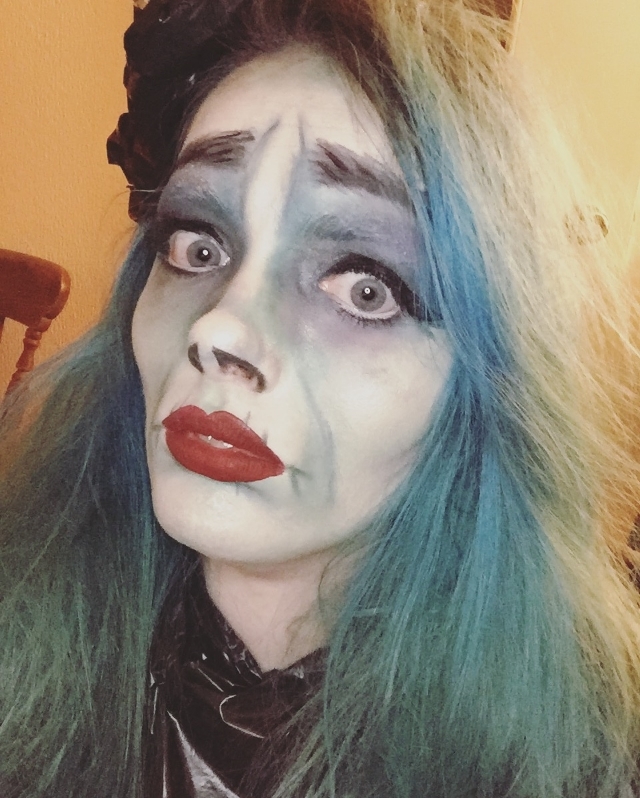 I used some tricks that I learned from watching RuPaul's Drag Race and the like. I blocked out my eyebrows for the first time and while they were far from perfect, I think it went pretty well for the first time. Next time I'll but more glue stick on them. Painting my nostrils was another thing I copied and I think it really adds to the look. 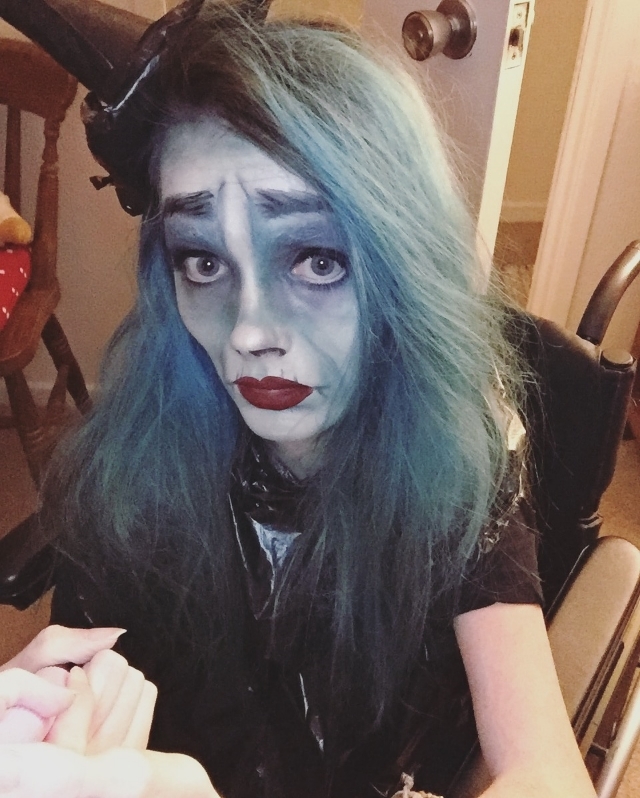 I wish I had painted my arms and hands too but the Kryolan felt so horrible to wear, I didn't want to put on more than I had to. Plus, it was getting over everything! 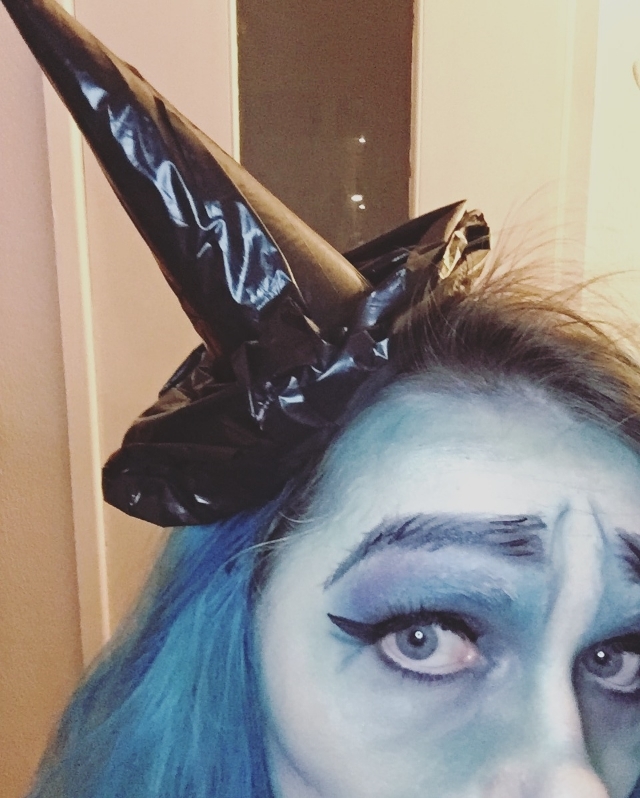 I think my favourite part of the outfit was the witches hat I fashioned out of a polystyrene cone, a black bin bag and a hair band. I cut some of the bin bag and glued it to the cone. I glued the bottom of the cone to another piece of bag and then scrunched and glued it into a brim for the hat. My mum had bought little plastic hairbands and I was able to glue the hat to the hair band. I wish I had taken step by step photos but maybe that's a DIY I can do for next year. So there you have it. The art of the Bin Bag Witch! It's a very easy costume to throw together, not to mention super inexpensive. Everything was stuff I already had. I probably could have gotten more creative with the bin bag dress and embellished it with a glue stick and pieces of bag - perhaps even bags of other colours - but I knew because I have to take photos sitting that a lot of the time my outfit is obscured anyway. Plus that would be getting away from the original bin bag which style. Apologies that the photos aren't great quality. I'd love to say that was for a grainy Halloween feel but in reality it was just down to the fact the lighting in my mum's apartment isn't great but oh well. I hope everyone had a wonderful and spooky Halloween. What I'd love to know is, have you ever donned the Bin Bag Witch? 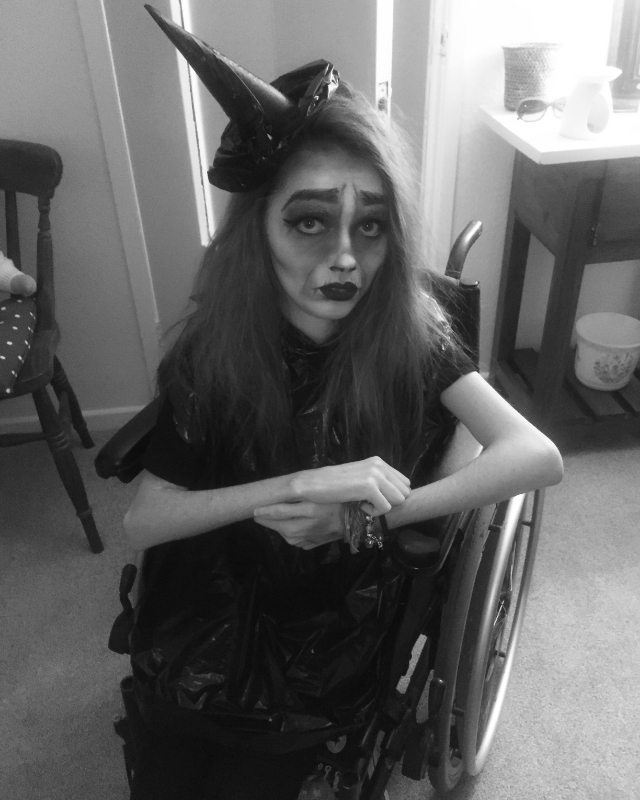 Yes, I wore a bin bag for halloween and it's really funny. It's really cheap and easy to make. I love bin bag witches, lol.